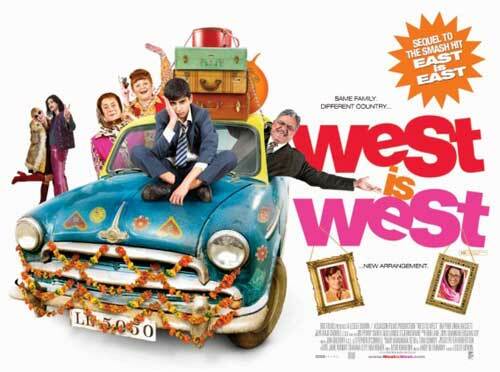 West Is West, the sequel to smash-hit East Is East, will begin its theatrical run on the 25th of February. The film reunites cast members Om Puri, Linda Bassett and Jimi Mistry, for a story that sees the Khan family continue its dysfunctional and often disruptive ways under the guidance of traditionalist George (Om Puri). Sajid is now 13 years old and the onset of puberty is encouraging a harsh line from his father’s tyrannical insistence on Pakistani traditions, as well as the trouble caused by racist bullies at school. Feeling alienated, the youngest of the Khan family begins to truant from school and spice up his dull existence with petty crime. George, desperate to sort out his son’s life in the only way he knows how, sends him off to Pakistan to learn the traditional ways of Muslim life. Reunited with the wife and daughters George abandoned 30 years earlier, it is not only Sajid who has to learn a lesson, as the tables are turned. It isn’t long before Sajid’s mother Ella and a small entourage from Salford head out to the Punjab to sort out the mess. Why did it take ten years for a sequel to be made? West Is West is just not a ‘cynical sequel’ which follows swift on the heels of a successful first film, — it’s a stand-alone film from the heart of the brilliant writer Ayub Khan Din, which happens also to be a sequel, in that it chronicles the continuing journey of the Khan family 5 years on. 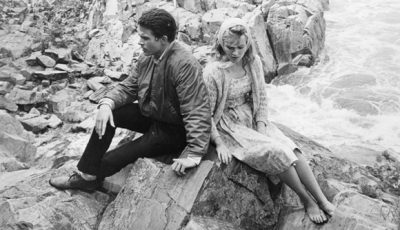 The film emerged with the love and the nurturing, and also the time, which all really heartfelt films demand. And it took that long, quite simply. 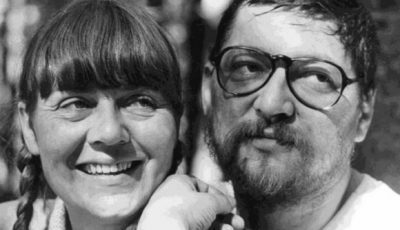 When Ayub and I were working on the development of the screenplay of East Is East, I learned of course, much more about the story of his family than was covered in the confines of the structure of East Is east. And it always seemed to me that there was a trilogy of films to be made about the Khan family. At the time, though, the prospect of just making one feature film (it was both Ayub’s and my very first feature) was daunting enough and so there was no temptation to probe further than the `East Is East story’. It would have been obvious to anyone, however, who knew that Ayub was taken as a young boy to Pakistan, to meet his ‘other mummy’ and ‘other family’, that this in itself was a film that simply had to be made at a later date. It took time (some years in fact) for me to persuade Ayub to write it. 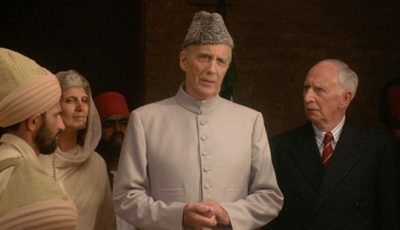 East Is East had enjoyed so much success and was so cherished by audiences worldwide, that it must have been quite a daunting prospect for Ayub to write its sequel. Let’s face it, sequels are usually (or often, at the very least), disappointing when compared to the original film or book. And I applaud his courage in deciding finally to do it. For my own part, I believe this sequel is the exception that proves the rule; that it is a more profound, more mature, and more satisfying film than East Is East. Of course I hope with all my heart that the audiences, who should be the true judges of this, will agree. In a difficult economic climate across all industries, how difficult was it to find funding for the new film? It certainly should have been easy, given East Is East is still one of the most financially successful independent British films and given that it won so many accolades and awards. You’d certainly have expected so; but it was far from the case. The recession had bitten hard and the ‘usual’ funding bodies/film financing companies had either disappeared or had no money to invest. BBC Films came on board with a decent UK TV licence fee and some equity finance, but I was still a long way off fully funding the film at even the very modest budget it had. I found myself having to raise most of the finance from individuals (a strategy I have never had to employ before). Happily, East is East had been cherished by a large number of people and so finding individuals who were keen to fund proved successful. So, yes, I suppose from that point of view, the success of East Is East made it ‘easier’ but in a very unexpected way. And the difficulty attendant on this strategy was that these individuals had never invested in film before and so needed `training’/ warning / enlightening about the very complex subject of film finance. This swallowed up weeks of my time and meant a far greater burden on the practicalities than would otherwise have been the case. Equally, they have been highly enthusiastic and supportive in a constant and personalized way and have actually become very close friends through the process. How does the new film compare with the original? West Is West holds a mirror up to East is East — it looks at the world George Khan (Om Puri) left behind 30 years before, when he came and settled in Britain and took another wife and made another family and life for himself. And finally, it brings the 2 separate worlds together with the understanding and generosity of spirit that I would wish for the increasingly divided world we live in. I am even more in love with West Is West than I was with East is East. For me it’s as funny, as distinctive, as original as the first film, but it’s also deeper, more layered, and at least as relevant and universal, if not more so in that it deals so fundamentally with regret and repentance of past mistakes — common to us all. It’s the coming of age of a boy of 15, and a grown man of 60. Both have to learn the same lesson: and this, for me, is the heartbeat of the film — that you cannot have one foot in one country, and another foot in another. You cannot be in one place and behave as though you’re in another. You cannot separate both halves of yourself — where you come from, and where you are. You do have to decide where it is you want to be, embrace who you are and preserve your distinctiveness without being rigid and denying the diversity of life and custom around you. It makes us laugh and it makes us weep, and contains the message of tolerance and all-embracing warmth that should be the way for all people in all countries. Ayub and I believed that the sequel could not, and must not, repeat nor aspire to hark back to its predecessor East Is East. Five whole years have passed in story time, and while our core characters remain, they have all grown and changed as we all do. So we were intent on moving the story assuredly forward into new and different realms: and this of course has been substantially helped by the completely different physical and visual landscape of rural Pakistan. On a very obvious level, a major difference between the two films is in production value: the landscapes and images of rural Punjab and the colour of its people are heart-stoppingly beautiful. In East Is East, we had to work hard to try and create production value where there was very little naturally on offer given we were confined to those depressing terraced houses for almost the entire film. What the Sequel has in common with East Is East is the anarchic, and eccentrically dysfunctional energy of some of the core characters [George, Ella, Sajid, Maneer, Tariq, Auntie Annie]. But we also meet (for most of the film’s screen time) new characters —George’s ‘other’ family in rural Pakistan. West Is West also shares the same sensibilities as the first film: that unique blend of bold comedy with heart-wrenching, real and deep emotional personal crises, often occupying the same frame. 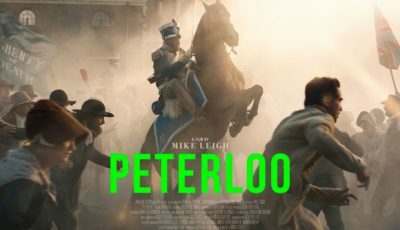 And it also has the same resonance, heart and spirit, dealing as it does with the small-scale struggles of ordinary people caught in the trenches of everyday cultural warfare and their search for identity. 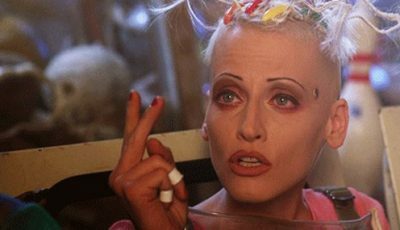 If I had to sum up the theme of the Sequel, where its heartbeat resides, Pd say it was a plea for tolerance – that the most unique and valuable gift we can give to our fellow beings is the freedom to be different from us and the understanding of what it is that makes them ‘different’. How difficult was it reuniting the original cast? I think Ayub’s greatest achievement in West Is West is how he transforms George, the tyrannical patriarch of the first film, into a multifaceted, hugely sympathetic character. And the depth and brilliance of Om’s performance has moved me again and again (through rehearsals, shooting, and seeing the film again and again through the editing) in a way that I will always cherish as affecting and resonant. For this alone, it was worth spending the 4 years it has taken, one of which was almost entirely away from my husband and 2 young children, to bring West Is West to the screen. 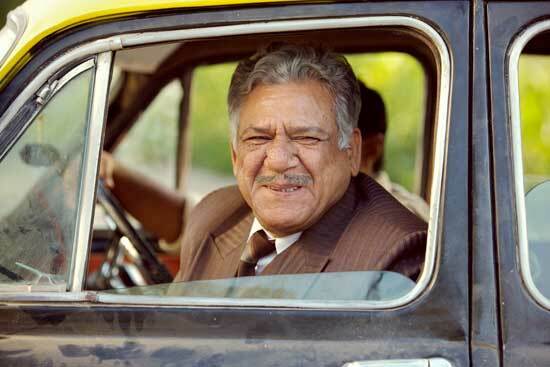 There was no way we could or would have made the film if Linda Bassett and Om Puri had been unavailable, and to a large extent we had to bank on the fact that when they read the script they would want to do it and would keep themselves available in the way that independent production demands they do, on faith and goodwill and without any guarantees. There were some terrifying beats along the way of our development when we thought we might have worked on the script for 2 years in vain, but they did it in the end and I am so indebted and grateful to them that they did. It is a mark of and tribute to their love of the characters and the material. Our riches were complete when Emil Marwa and Lesley Nicol and Jimi Mistry agreed to come back… in Jimi’s case, incredibly generously, knowing that his part was a supporting one in the sequel. That’s the joy and the strength of family bonds! Was it difficult filming in India? 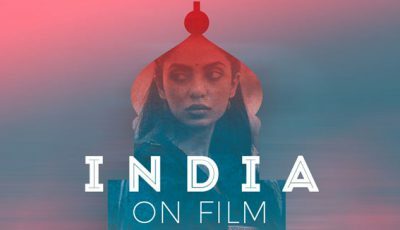 It was in many ways, extremely difficult and challenging shooting in India, and particularly shooting outside of the ‘film centers’ (Mumbai, Hyderabad, Chennai)…Our budget was small (given the crisis of funding in the British film industry) and so we were unable to import large scale crews from outside of the Punjab. Other than heads of departments, whom we brought in from UK or Mumbai, we used local labour for the most part. This meant we were dealing with some sections of the crew whose first film experience this was. Unit drivers, for example, who didn’t initially fully appreciate how important time keeping was! and first time crew members who were ‘learning by their mistakes’. Another very difficult factor was the film-making culture differences. In India they are used to spread out schedules over many months, and they do not work so much with scripts, and certainly not with nearly as much paperwork and formal discipline as our UK financiers/distributors/ completion guarantors require. So to a large extent, I had to manage the ‘chaos’ or the ‘casualness’ more than I would have wished. And a few crew members had to be replaced (always a painful process). Another rather shocking factor was that despite a UK/India co-production Treaty having been ratified just before we started shooting, bureaucratic procedures and practical processes — like the importation of sound equipment, (ours was impounded by customs 2 days before we were due to start filming), were like terrifying obstacle courses. It was the toughest production I’ve ever had to manage, and the strain and fear were palpable for me. Having said that, the openness and warmth and pure hearts of the Punjabis was inspiring and extremely moving and in stark contrast to the mostly cynical crews and population one is used to dealing with in the UK. And the pure magic that inexplicably takes place in India (be it simply the beauty of the place, or the actual small miracles: like a wind being summoned up by simply asking “kripia Bhagwan….” (please God….) when needed on the hottest, stillest of days, made it `easy’ in some respects as well. And ultimately, I would go back there tomorrow. Can you tell us a little about Aqib Khan, who plays the 13 year old Sajid in the new film? Aqib Khan is born and based in Bradford, UK. His parents are both Pakistani. He is as close to the real thing as I could have wished for. As with the search for the younger Sajid in East Is East, I started early and saw hundreds of boys in Manchester, where the film is set, and where the accent would be a natural one (it would be enough of as struggle for a young inevitably inexperienced actor to manage the challenge of a leading role without having to concentrate on the accent as well! )… We approached schools and sent a character brief to their drama or English teachers, and they recommended pupils who fitted the brief and whom they considered to be talented and interested. We also had some open call auditions which we advertised locally. After seeing some 200 kids in Manchester, we found 2 very strong candidates and might have stopped there, but something prompted us to have one last go in Leeds, a major city further north, just in case we could do even better. After all, this kid pretty much has to carry much of the film, and has to weigh in against Om Puri, one of the world’s greatest actors! The very, very last boy to be auditioned in this extended casting session, was Aqib. I cannot begin to describe my wonderment and pulse rate when I first saw him. His charisma, energy, intelligence and beauty were simply mesmerizing. And as an added miracle, he looked exactly like the young Sajid from East Is East, only 5 years older. This boy is a natural-born actor. His instincts are impeccable; he is utterly captivating, the camera loves him and he will have a major film career. You didn’t use East Is East director Damien O’Donnell for West Is West – Why? And how did you choose a new director? At first, my plan was to hire the same director who directed East Is East — Damien O’Donnell. But it soon became apparent that we (Ayub [screenwriter of West Is West and East Is East] and I on the one hand, and Damien on the other) had fundamental differences of opinion on what the main focus of the story was. So we knew we could not proceed. As had been the case with East Is East, my search was for a director whose strong cards are comedy and performance; the comedy in Ayub’s writing so strongly emanates from character, and the pulse of the film lies with the depth and truth of emotion of the actors. Finding both strengths in the same director is always challenging. Andy DeEmmony’s work in television over several years certainly evidenced both. Of course it’s always a risk giving a director his first feature film, but to get that distinctive mix demands risk- taking. We got on incredibly well when we met and seemed to see the film in the same terms. 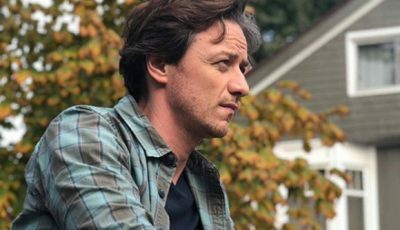 It has proved a risk worth taking: Andy has certainly risen to the challenge of shooting a very beautiful film with superb performances and the right kind of comedy. East Is East might have been about 1970s Manchester but it felt relevant to a 1990s/2000s audience. How have you remained relevant for an audience in 2011? Essentially, Ayub and I wanted to make a film that will not just entertain, but fundamentally affect people. Although the story unfolds in a particular time and place, it resonates with universal themes: centrally, the complexities of family dynamics and personal responsibility in relation to that. I would hope that by not judging its characters, by refusing to smooth over the difficulties inherent in familial relationships, West is West stays true to the contradictions and intricacies that exist in all families. Ultimately, our characters are not good nor evil, just believably human, like all of us. So good to hear from the cast. 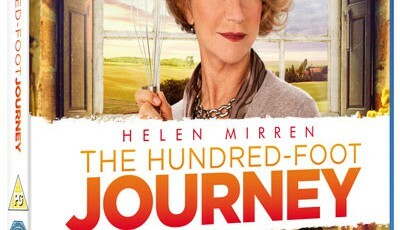 I enjoyed the first one, East is East, and I am looking forward to the sequel. When is the movie coming out on DVD or Blu-Ray? I can’t seem to find any theater in Canada thats playing West is West. Guess we are out of luck. I am hooked on both movies. They are different but move from one to the other so smoothly. I can not wait until a 3rd and final movies is made,I keep trying to figure out what the story line will be. I love Linda Bassett, she is great and so is the rest of the cast. I hope Maneer and his wife are in the 3rd movies, I guess I would like to see the English Kahns re-unite in some way.